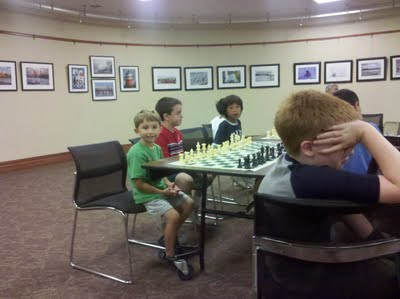 This week I went to Chess Camp at Adelphi University. There were about 35 kids. It was three days long; 7 hours each day. I played 2 tournament games each day, but on the last day, there was a speed tournament. Each game lasted five minutes and you could take the king. At the end of the camp, I came in 3rd place overall in my division and I won a trophy! 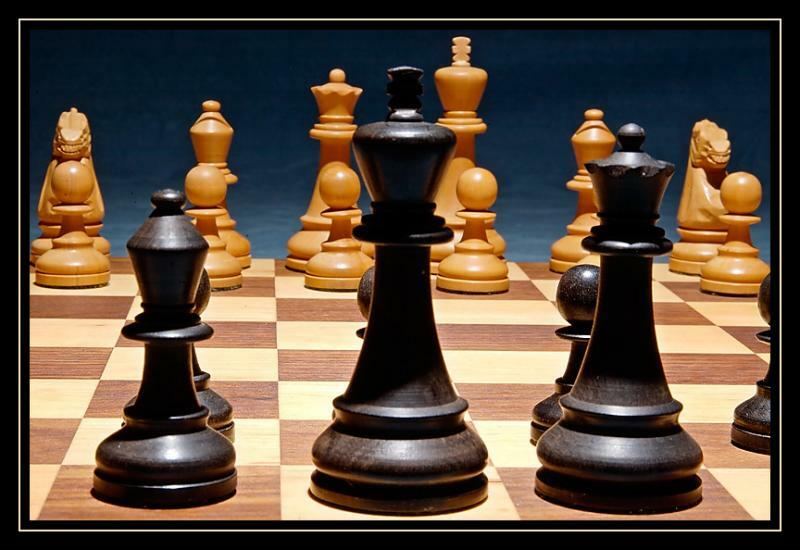 A chess game is divided into 3 parts: the opening, the middlegame, and the endgame. In the opening, it’s important to castle quickly and to develop your pieces. Castling defends the king and allows the rooks to work together later on. Knights are important in the opening because they can hop over pieces on a crowded board. The most important thing is to control the middle of the board. In the middlegame the bishops become more important. In the endgame the rooks are very important and even a pawn if it’s passed. Queens are always important, BUT if she comes out too early your opponent can harass her all over the board while developing their pieces. I am learning to play chess. My uncle bought me a chess set for my 4th birthday. To win you have kill your opponent’s king before he kills your king. 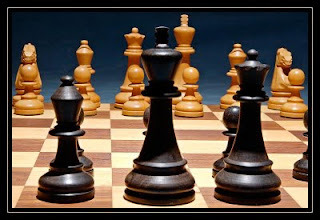 There are several kinds of pieces: pawns, knights, bishops, rooks, a queen, and a king. Pawns advance one square at a time. But on their first move they can go two spaces. And they can go diagonally one space only when they take someone. Knights move up two and over one square in any direction. Bishops move diagonally in any direction. Rooks move up and down and sideways as many spaces as they want. The queen is very powerful. She can move in any direction, any number of spaces. The king can also move in any direction but only one space at a time.